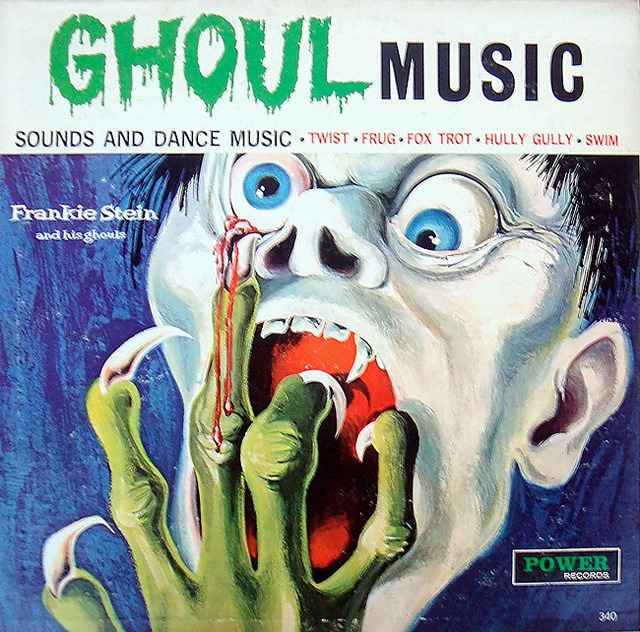 The music of Frankie Stein and his Ghouls is cooler than it has any right to be. Between 1964 and 1965, the “band” cranked out no fewer than five full-length albums. By all rights these records should have been little more than white noise, the kind of generic elevator music that blared from teenage radios in movies and television whenever the producers didn’t feel like ponying up the dough for a legitimate song. But there’s something special about the Frankie Stein series. Something surprisingly focused, haunting and aggressive. Which has led fans to sometimes speculate about the identities of the anonymous musicians that made of the ersatz band. 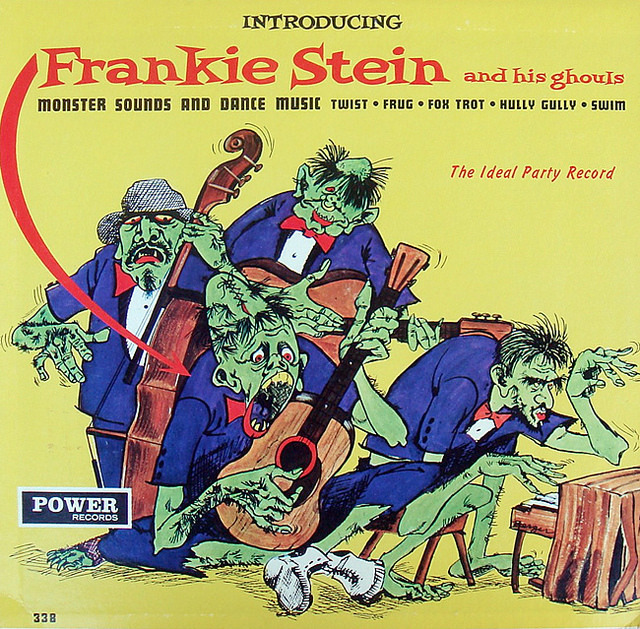 If Frankie Stein was a real person, he’s been suspiciously quiet in the years since his band’s albums were hastily released. And there might be a good reason for it, if even a fraction of the rumors about the musicians involved with this project are true. 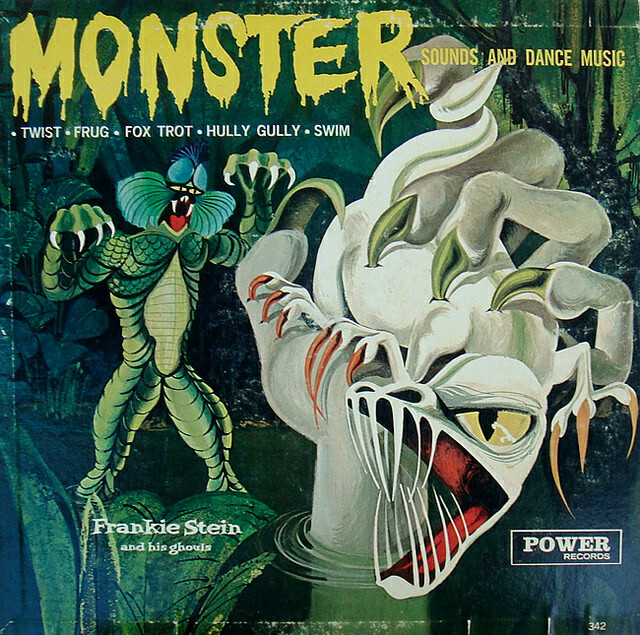 I didn’t remember the name Frankie Stein and his Ghouls but I recall the music. It’s the sort of instrumental pop-rock music you’d hear on teevee shows of that era only with mildly spooky sound effects and wacky voices added to the mix. I wish Frankie Stein would come out into the light and reveal his true identity unless, that is, he’d melt as a result. Is that first cover Gahan Wilson? They’re uncredited but it does look his work. I’ll do some digging when I get a chance.